When safety and performance are critical choose VBL™ locking, sectional, forged, heat-treated CARBIT™ system. CARBIT LINK™. Safety: 30lb (12.5kg), 12” (305mm) segments are safe and easy for one person to handle, helping to reduce injury. The sectional design also makes storage easier for applications where scarifying is only done at certain times of the year. Rigidity: Locking sectional design eliminates joints between blades making for a more rigid installation. Wear: Segments and locks are forged and heat treated for strength. Tungsten Carbide Matrix (TCM) wear protection comes as standard for the best possible wear life. 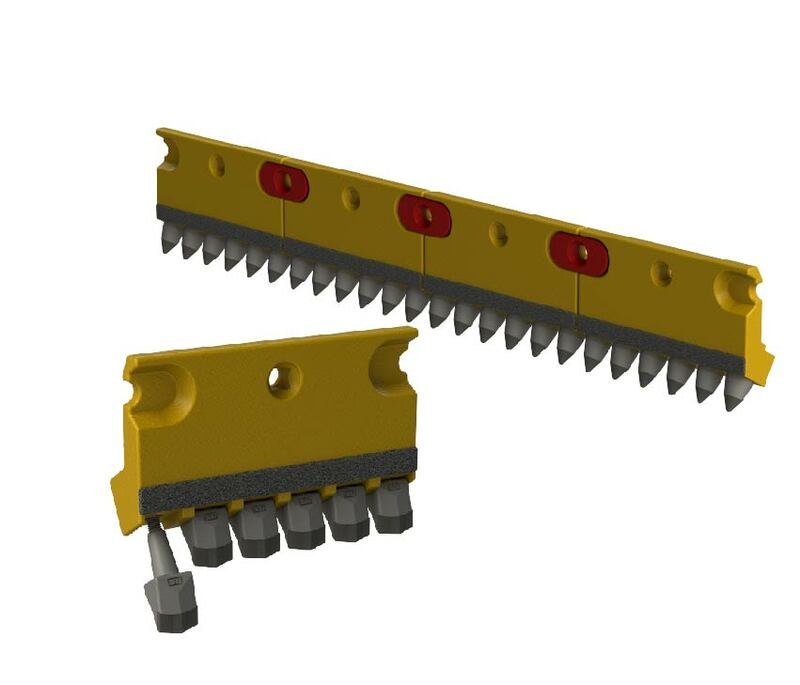 Bits*: The VBL™ TAPER-LOCK™ tool brings non-rotating bits to the next level with an extremely secure mounting system that ensures easy removal of bits even after years of use. *Also available with a full range of standard 7/8” (22mm) rotating and non-rotating bits.